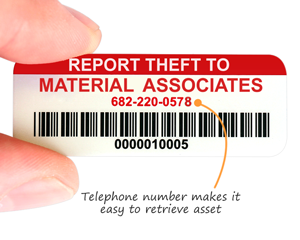 A simple asset tag can help you retrieve thousands of dollars of equipment. 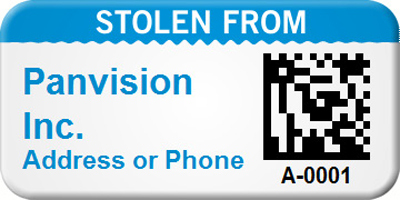 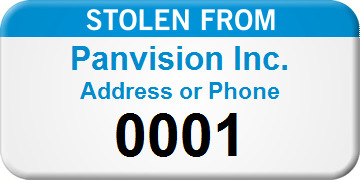 Provide notice that your assets have been stolen. 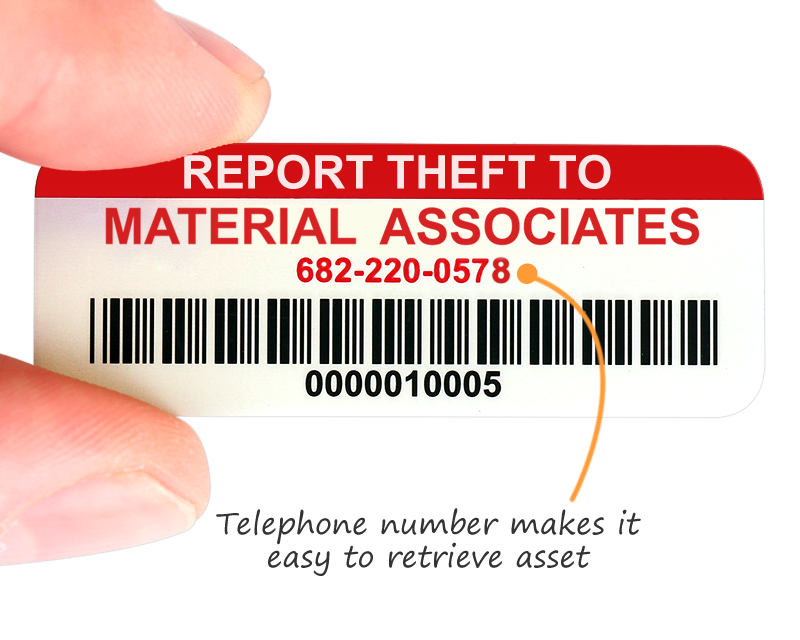 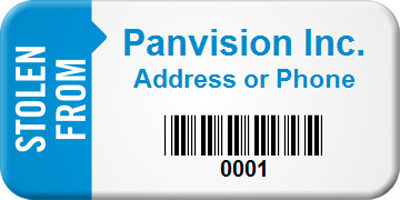 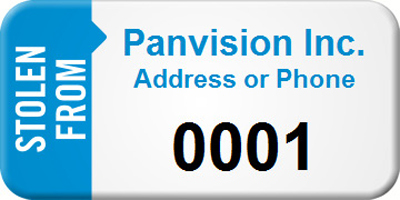 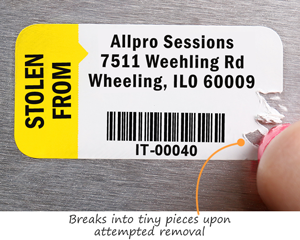 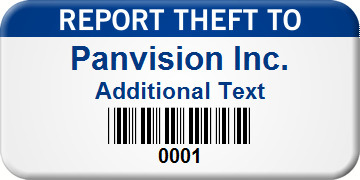 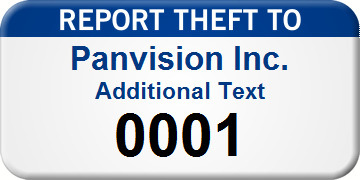 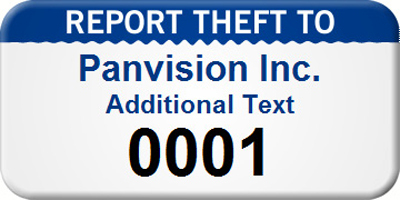 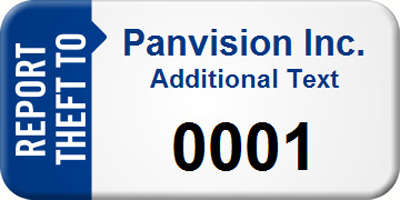 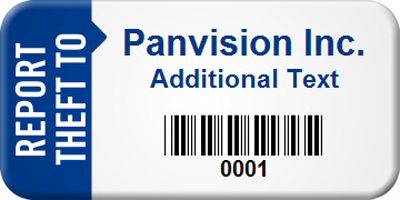 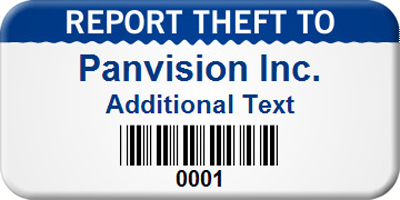 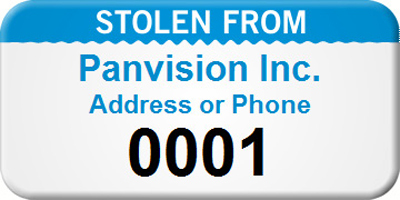 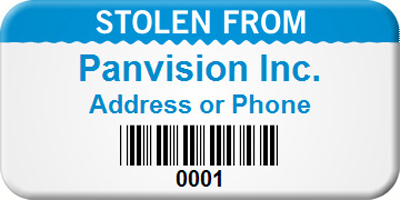 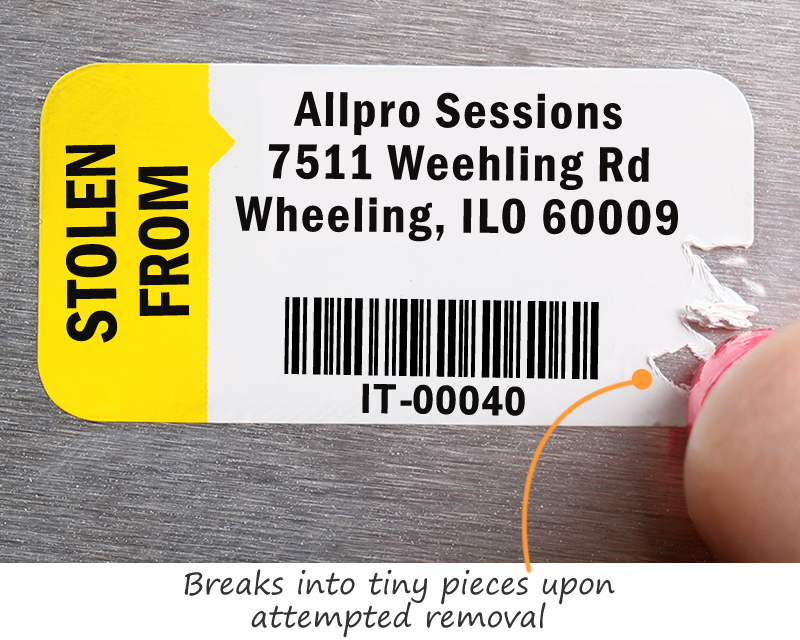 • Use an Anti-Theft tag design with tamper-evident or tamperproof materials to create a more secure system. 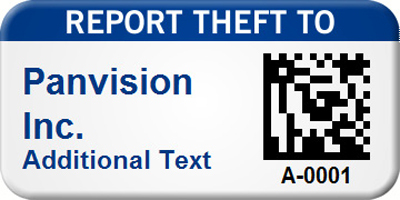 • Pick a header: "Report Theft To" or "Stolen From." If you'd like to say something else, you can use the custom option to create your own headline for a truly personal theft message. 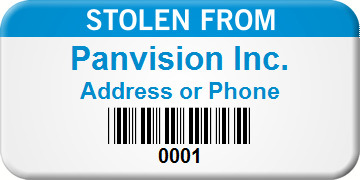 Designs will help you retrieve misplaced or “borrowed” assets.